Outgoing chief executive Paul Polman created 'schizophrenic' organisation with relentless focus on brand purpose. Unilever’s outgoing chief executive Paul Polman will be a difficult act to follow, but his successor, Alan Jope, has the opportunity to make improvements by approaching the role differently, Unilever watchers have said. The FMCG giant announced yesterday that Polman would leave at the end of the year, after his plan to simplify the corporate structure into a single legal headquarters in the Netherlands was defeated by shareholders. Plans were already in place for his succession, which was expected next year. Polman is seen as the driving force behind Unilever’s strategic decision to prioritise sustainability on the company’s agenda – a focus that proved controversial at moments such as the rejected takeover attempt by Kraft Heinz in 2017. Jon Goldstone, a former marketing vice-president at Unilever who is now global managing partner at The Brandgym, said he had never met anyone like Polman, who "had a unique ability to be a very tough businessman but also an incredibly progressive thinker". But as a result of this, Goldstone said, "the marketing organisation often felt schizophrenic, people didn’t know whether they were there to make money or save the world. It’s tough to do both." Jope, he added, was a "more conventional figure and a more natural marketer" who should be able to provide a clearer brief for Unilever’s marketing teams – something that could make things "less ambiguous". 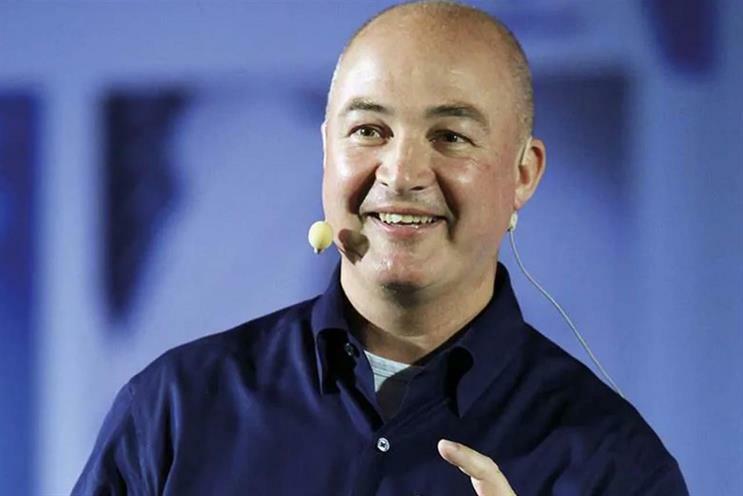 His comments were backed by a leader at a London agency that has worked with Unilever, who said that Polman's "zealous pursuit of brand purpose" had made it a challenging client. "This led to some notable advertising campaigns but sometimes rang rather hollow when it came to the product experience and was a particular stretch for some brands in the portfolio," they said. "From an agency perspective, the over-reliance on research and slow processes often made them painful to work with. It will be interesting to see whether the new boss loosens up the theoretical model and champions a more agile way of working." In contrast, Chris Arnold, creative and strategy director at Creative Orchestra, said Jope would benefit from inheriting "a highly efficient organisation that as a business is both an agile adapter and innovator". "Unilever has also set the standard in corporate purpose, making a real difference through delivering a positive ethos all the way down through each brand – not just CSR tick-box spin," Arnold continued, "and in the process proved that doing good is good for business." Jope must ensure he continues to get support from the C-suite to pursue that agenda, Arnold said, adding that the biggest challenge would be to keep the organisation’s momentum going – "or it could slip back into a comfort zone, especially as we live in an age of uncertainty". Nico von Stackelberg, equity research analyst at Liberum, agreed that Polman’s stature meant Jope faced high expectations from the word go. "The immediate priorities should be to meet investors/analysts and listen," he said. "Set expectations low and over-deliver. There’s a view that their margin target is holding back their organic growth, so an analysis of where this might be the case would probably be well received." Von Stackelberg said it was "highly unlikely" that Unilever would move away from its purpose-driven approach in the name of becoming more efficient or profitable: "This is both cultural, and smart business, since most of their consumers like purchasing products that are good for the planet. "Keep in mind this is not an either/or situation. You can make it seem like they are the best corporate stewards on the planet, but Unilever still has a negative impact on our oceans and rainforests etc. "So while they are better corporate stewards than the average FMCG business, they have a carefully crafted communication strategy to highlight their purpose-driven focus for their bottom line."